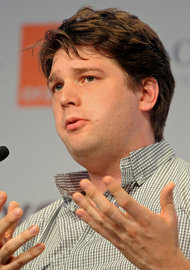 Antoine Antoniol/Bloomberg NewsAndrew Mason, the founder of Groupon, said the I.P.O. would exceed expectations. This summer, Lloyd Blankfein, the chief executive of Goldman Sachs, flew to Chicago to personally pitch his firm to underwrite what was supposed to be the hottest initial public offering of the year: Groupon, the fledgling online coupon company that was being valued at around $30 billion. Mr. Blankfein’s pitch succeeded and Goldman was selected as one of three lead underwriters, including Morgan Stanley and Credit Suisse. As the summer progressed, some insiders whispered that the offering could value the company at even more. For Wall Street, the I.P.O. was the ultimate bragging right. They probably aren’t bragging anymore. Groupon’s triple-digit growth has slowed, slicing Groupon’s valuation in half — if not more. Analysts now suggest the valuation will be lucky to be more than $10 billion. A series of accounting and disclosure gaffes have brought the attention of the Securities and Exchange Commission, raising questions about the company’s credibility. A cursory reading of the various versions of Groupon’s prospectus that the banks signed off on, as did the accounting firm Ernst & Young, would give virtually anyone a modicum of pause. And a deep dive into the numbers should have raised alarm bells at the outset about even talking about the possibility of a $30 billion valuation. In total, as of last quarter, the company had $681 million in current liabilities but only $376 million in assets. Among its liabilities, it owed $392 million to vendors. That is because the company receives money from customers before it has to pay its vendors, called a working capital deficit. In some cases, a working capital deficit is not a problem. Wal-Mart has a working capital deficit, too. But when there are questions about whether your business can continue to grow at the same rate, a working capital deficit can become a problem because it means you are relying on a steady stream of new revenue to pay off old liabilities. The company also spent $432 million in the first six months of the year on marketing, an unsustainable model. Add in the fact that Groupon’s revenue slowed in August, up only 13 percent, compared with 96 percent in the first half of the year, according to Yipit Data, and the picture becomes a bit nerve-racking. Groupon is in a quiet period ahead of its I.P.O., so the company, as well as its underwriters, is unable to comment publically. He also said that he planned to slow the company’s marketing expenditures. “Eventually, we’ll ramp down marketing just as fast as we ramped it up, reducing the customer acquisition part of our marketing expenses,” he wrote. Of course, it is possible that Groupon could update its prospectus with new numbers before the I.P.O., showing that it has already begun to get its house in order. If it were to really slow its marketing spending, it is possible Groupon could turn a profit. Even so, it does not fully explain how Groupon’s underwriters, whose endorsement of the company is supposed to be considered the Good Housekeeping Seal of Approval, originally came up with Groupon’s questionable $30 billion valuation. Perhaps more troubling, those same banks allowed their client to publish one of its first filings with an accounting gimmick. It was a made up metric called Adjusted Consolidated Segment Operating Income that accounted for the company’s operating income but conveniently excluded several major expenses, including marketing and acquisition-related costs. That caught the eye of the S.E.C., and Groupon has since been forced to remove the accounting metric. The cynical reason that the banks stood by Groupon and its accounting shenanigans is most likely the expected fees from the offering. Even if Groupon’s I.P.O. values the company at $10 billion instead of $30 billion, the banks will probably walk away with hundreds of millions of dollars. Was just asked on Linkedin What is your solution to end the global economic crisis ? The Answer to the Global Debt Crisis lies in the generation of new revenue and new business. I am challenging the Super Rich to Duplicate themselves through direct mentorship of 100 people in similar industries where they made their success and teach that 100 to duplicate 100 each over a 5 year period. And since they are paying very little in taxes Invest 20% of that income in this Master Transmedia Mentorship duplication Program that I am advocating or be taxed 40% for not investing. Here is some excellent news. All the money every minted that is in circulation on earth is still on earth. So since the money has not left the planet. Innovative Free Enterprise Solutions are the answer. Example Transmedia Brandcasting is the Greatest Paradigm Shift ever Sold. Monetizing Streaming video and making Content the Commercial along with companies like The Customer Advantage, Social Dish and Triniti Communications are all what I call Transmedia Revenue Sharing Companies which provide the ability for those of us in the United States to use the Groupon Coupon Type System to create Transmedia Revenue Share Communities in a 55 Mile radius of ones home. What is amazing is that the businesses are Free to Sign up and Free for Businesses to Advertise. And Triniti is giving a full 40 Days before any investment is due allowing Entrepreneurs the opportunity make money even before the enrollment fee is due. The CEO’s for The Customer Advantage and Triniti Communications are in Linkedin network. Ask them I am sure they will agree that their businesses are preparing to change the way business is done and are both providing opportunities which are outstanding. Daily Deals sites are attracting millions of customers. It’s a lively marketplace with hundreds of companies competing for a limited number of users and businesses willing to give them a try. How lively? It’s hot. According to researchers at Lab42, there are more than 660 deals sites online today. But is this sustainable? Certainly not all those sites will survive. Some of us here at Mashable are questioning whether the Daily Deals era is coming to a close. The number one player in the market, Groupon, has 115 million subscribers, but saw a 50% dip in its web traffic since July, 2011, according to Experian Hitwise. And Friday we reported that hundreds of members of the Groupon sales team filed a class-action suit against the company for allegedly not paying overtime. Meanwhile, Groupon’s second-place competitor LivingSocial saw a 27% rise in traffic. Sounds lively. Maybe the Daily Deals market is a bit too lively — according to Pricegrabber, even though 44% of consumers use daily deals websites, 52% of U.S. customers are feeling overwhelmed by the proliferation of daily deals offers clogging their email boxes. The Customer Advantage Launches a New Daily Deal Program that Shares Revenue Across the Country with Customers. IS THE CUSTOMER ADVANTAGE THE BUSINESS OPPORTUNITY FOR THE MASSES TO CHANGE THE ECONOMY OF THE UNITED STATES OF AMERICA? by Jay O’Conner Chairman & CEO WCNTV. A huge part of understanding the creation of Transmedia Revenue Share Communities is understanding the business model of companies like The Customer Advantage. 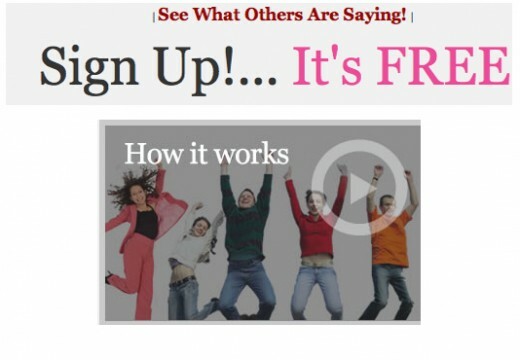 Check out this video then click the button and start your FREE Transmedia Revenue Share Community. WCN Transmedia Group commends John Milanoski for his vision and contribution to the FREE ENTERPRISE SYSTEM OF THE UNITED STATES OF AMERICA. Together we are more than 100,000 strong and growing via social media and word of mouth. If you have a business and want to increase your customer base by rewarding your customers with a DEAL. Then The Customer Advantage offers you an low cost opportunity to move more inventory, creating a great relationship with not only consumers but employees who you can also sign up for FREE and begin the process of signing up other businesses on the block. Transmedia Revenue Share Communities is the beginning of the Turnaround for average Americans who understand that hard work should pay off. And doing something right once will have lasting affects in terms of residual income. WELCOME TO THE WCN TRANSMEDIA GROUP CUSTOMER ADVANTAGE PLATFORM. Don’t Wait for every day you do someone you know will be in position in front of you. 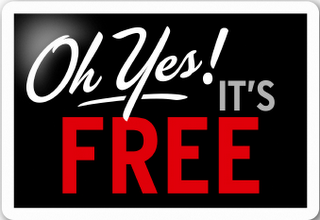 It’s FREE for You and FREE for the Business to Create a Daily Deal in your Community. Shouldn’t you lead and not follow. Time is money and NOW is the time for a Transmedia Brandcasting Revolution. The Customer Advantage Launches a New Daily Deal Program that Shares Revenue Accross the Country with Customers. More than 15 years after the first banner ads appeared on the Web, Internet technologies and upstarts are disrupting advertising and media faster than ever. With this blog, I hope to suss out what’s coming next from major players such as Google, Yahoo, Microsoft, and Facebook, fast-rising challengers such as Twitter and Groupon, ad agency leaders like WPP and Publicis, and an alphabet soup of ad technology upstarts. After nine years as chief of BusinessWeek’s Silicon Valley bureau, I’m currently freelancing stories on everything from Internet ads (of course) and online games to the future of television and the sorry state of U.S. manufacturing. You can also find me at my personal Web site (RobHof.com) and at Twitter (@robhof). Email me with tips, ideas, and proof of why I’m wrong at robert.hof@gmail.com. * Mobile ads will overtake social ads and email marketing already this year: They’ll hit $8.2 billion in revenues by 2016 as advertisers will want to reach people while they’re on mobile phones and tablets, not just searching at their desk. * Social media will grow relatively slowly: In another surprise forecast, Forrester says spending on social media by marketers will hit only $4.4 billion, or 7% of online ad spend, by 2016. That’s partly because they can set up Facebook pages one time with relatively little ongoing cost, and partly because Facebook, Twitter and other social sites don’t offer much in the way of ad formats yet. Hmm, maybe Facebook’s right not to rush into an IPO yet? 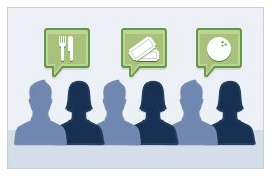 Facebook Social Deals Done After Four Months by Matt McGee Learn how you can still capitalize on Groupon Type Transmedia Revenue Share Social Communities on Facebook..
Facebook is backing off from the local/small business space — or at least parts of it. A few days after dropping its check-in service for Facebook Places, the company is now getting out of the deals business. Social deals required participating businesses to have a Facebook page and allowed the merchants to offer deals that didn’t specifically offer a percentage-based discount. We’ve reached out to Facebook for more information and will update this post if we learn more. In the meantime while they sort all this out. Check out the opportunity for you to make money on Daily Deals with The Customer Advantage. Check out the I WANNA LAUNCH A GLOBAL BRAND FACEBOOK PAGE AND SET UP YOUR TRANSMEDIA BUSINESS TODAY.